Posted by Eddie & filed under Mountains & hills, Science, December 25 2007. In the last week I’ve come across two unusual and interesting items on the web in terms of glaciers in perhaps unexpected places. This 3-minute video clip was taken in the Feith Buidhe area of the central Cairngorm plateau (in the Scottish mountains), just north of the summit of Ben Macdui. It shows some hikers exploring a large snowfield before skiing on it – unfortunately the month and exact year are not stated, just that it is the ‘early 1990′s’. It looks like May or June though, and this was back when Scotland still had extensive snowfalls in the winter months and perennial snowfields at high elevations. What is most interesting about this clip is that the people in it explore underneath the snowfield; and at about the 1-minute mark of the video clip, one of the hikers examines the surface of the snow closely. I’ve been in a similar position exploring the base of a glacier in Norway (the Kjenndalsbreen – see photo on my website here), and this looks very similar – the smooth, scalloped surface and the incredible hardness of the snow which has become ice (this can of course be quite a dangerous thing to do). This process of snow turning to glacial ice over successive years was demonstrated vividly in an episode of the recent BBC series ‘Earth – The Power of the Planet‘. The presenter Dr Iain Stewart abeseiled down layers of annual snowfall on a glacier surface – the further down he abseiled, the more compacted the snow became until it transformed into glacial ice. This YouTube video clip is showing what looks to me like the underside of a glacier in the Cairngorms – or perhaps this is a proto-glacier, on its way to becoming a glacier before the warm summers of the late 90s stopped it in its tracks. 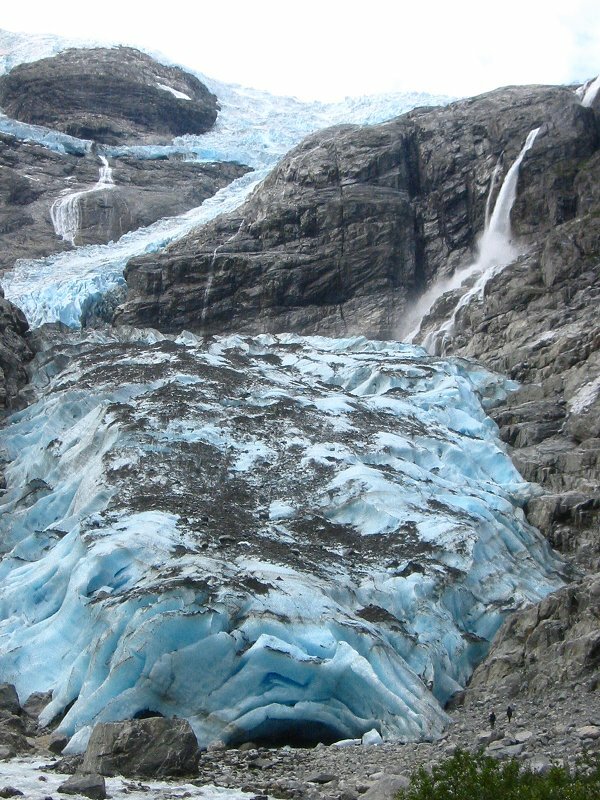 I’ve written before about the possibility of glaciers in Scotland (see the previous blog posting ‘Scottish glaciers‘) – is this video clip proof that the potential for modern-day glaciers in the Scottish mountains is closer than even I thought? This seems to show a photograph of a glacier on the surface of the planet Mars – glaciers are perhaps more ubiquitous than was previously thought! As well as being on the verge of forming in the Scottish mountains they exist on another planet in the solar system. ( http://www.winterhighland.info ) the YouTube video mentioned in my blog posting was filmed in August 1994, which is incredibly late in the year. The winter of 1993/94 had an unusually large snowfall, and this snowfield was exceptional. 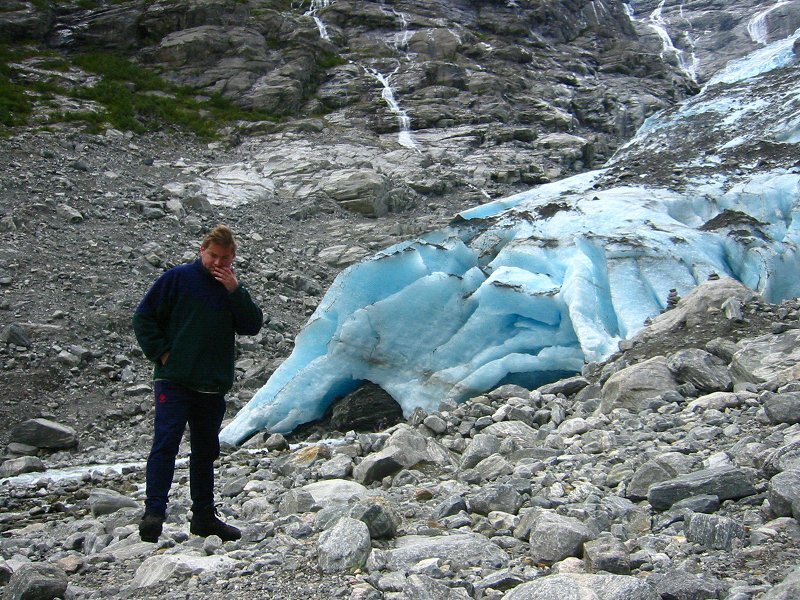 This truly may be the closest Scotland has come to having a glacier in recent years. Eddie, the Feith Buidhe video is from July 1994, the year of the longest lying snow patches in living memory (personal communication to me from Dr Adam Watson).